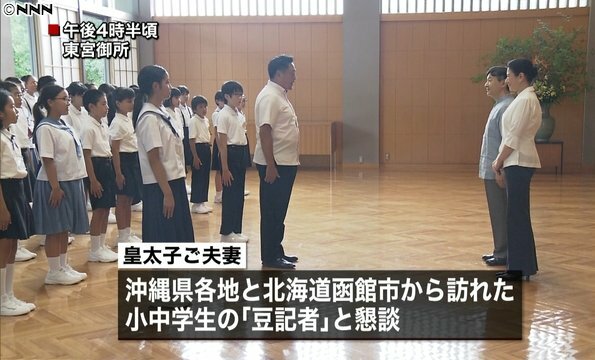 On July 30, 2018, at Togu Palace, Crown Prince Naruhito and Crown Princess Masako of Japan hosted children reporters who came from Okinawa and Hokkaido cities. 60 primary school and secondary school students spent an hour with the couple. The couple talked to each of the children reporters and the chat lasted for an hour. Always so happy to them. 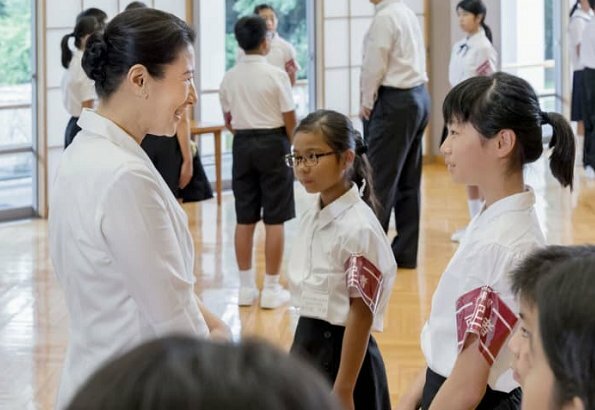 What a nice surprise to see the CP Masako with Children-reporters. But nicer yet so see her happy and smiling.How nice her color combination matches that of the Childrens Uniforms. How nice she looks in her white shirt and slacks! The meeting of children reporters with Crown Prince Naruhito and Crown Princess Masako reminds me of an importance of moral education. 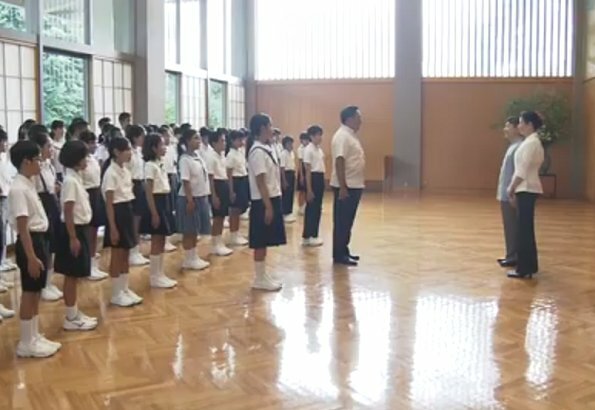 The meeting of school children with Crown Prince Naruhito and Crown Princess Masako of Japan reminds me of an importance of moral education.